The Kent County Show will see the official opening of the new Maidstone Exhibition Hall. The 3000 square metre building will replace the Kent Pavilion. This wonderful addition to the County Showgrounds internal exhibition space will house the Member’s Area at this years Show.  The building will mark the 50th Anniversary of the Kent County Show being at the County Showground at Detling. It was in 1964 after several decades at Mote Park in Maidstone, that the Show moved to a permanent home on the site just off the A249. The last Kent County Show at Mote Park in Maidstone in 1963, marked an important change for the Kent County Agricultural Society. It had been a monumental task to build the Shows at the site on the outskirts of Maidstone, with a 14-week build time and a small army of Committee members. However, the task ahead, to turn the grazing land at Murrain Place into a workable Showground, would be a labour of love, with little rest or time to reflect on decisions. Lord Cornwallis, whose father had been involved in the formation of the Society in 1923, suggested this would be an admirable legacy for all who had ever been involved with the Society, and felt proud and privileged to have been part of this current venture. Leading the changes was Chairman George Stevens who, together with a small team of experts, set about planning the grounds. The first Show was a huge success and over the next few years building began on the site to ensure its future. 50 years later the Society are still investing in the site and the newest addition, The Maidstone Exhibition Hall will be its biggest project to date.